Apparently they still party like it's 1996 in some areas of Britain where dial-up internet access is still a thing. 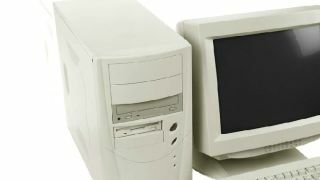 Unfortunately for those who use dial-up to get their web-based kicks, its days are numbered: BT is turning its dial-up service off on September 1. About 1,000 people living in the deepest darkest recesses of British countryside will not be able to swap over to broadband because they live too far away from their nearest telephone exchange; they'll have to switch over to BT's BFF Plusnet instead, as it will continue offering dial-up in BT's stead. An excellent use of your last dregs of 56k? Reading blips.